Russia’s new military doctrine will put more emphasis on nuclear capabilities. 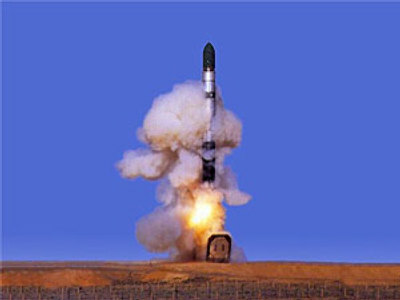 Moscow will be able to use nukes in small-scale conflicts and launch pre-emptive nuclear strikes. The news comes from Nikolay Patrushev, the secretary of the Russian Security Council. In an interview with the Russian newspaper Izvestia, he said that the new document, which is now prepared to be signed into law, will have several revisions from the current version adopted in 2000. Patrushev announced that Russia will see nuclear weapons as a legitimate means of war in small-scale conflicts. “We have corrected the conditions for use of nuclear weapons to resist aggression with conventional forces not only in large-scale wars, but also in regional or even a local one,” he said. The announcement of the doctrine came during US Secretary of State Hillary Clinton's visit to Moscow, with nuclear non-proliferation being one of the top issues on the agenda. Clinton claims that US military doctrine does not allow the preventive use of nukes. But analysts say that over the past decade, the US has demonstrated the exact opposite. Russia’s revised military doctrine will be submitted to the president by the end of this year. If adopted, it will be a strong change from the military doctrine now in force. The current version allows for the use of nuclear weapons in a response to an attack with weapons of mass destruction, or a large-scale conventional aggression.